The new “The Wilds Pack” is now up on the RIFT Store and Glyph website for purchase, which grants access to the Primalist Calling when 3.4 launches (amongst other stuff). The Wilds Pack. Everything you need to know about it. You can check out “The Wilds Pack” on the RIFT Store front page in-game (default key “]“). It costs $99.99 and contains a bunch of items. These are separated into ‘Instant Access’ which you get immediately and ‘With 3.4 Launch’ items that you will receive once 3.4 launches. Primal War Beast Mount. Thanks to Chickie@Laethys for modelling! The Primal Warbeast mount is obtained instantly upon purchase and will be available in your in-game mail (you might need to log off and back on for it to appear). As with the other items, it goes to all current and future characters on your account. 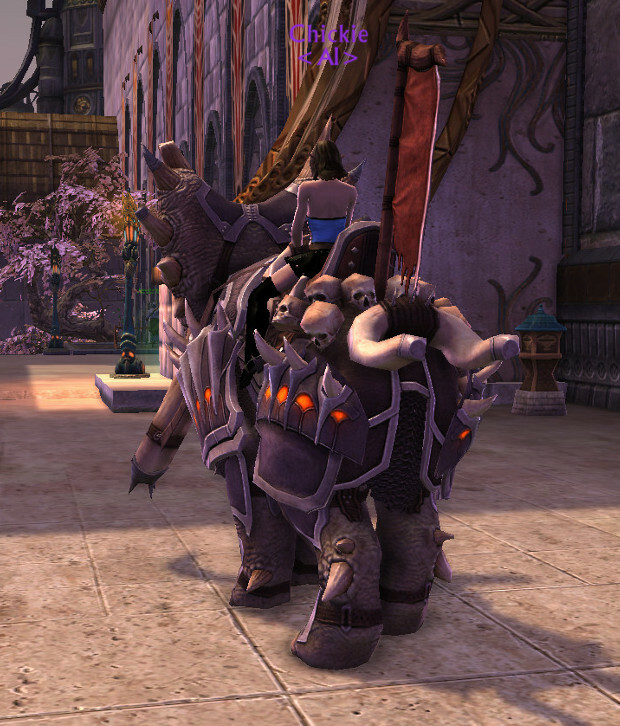 The mount has a variety of armor plating, blades and a tribal banner behind its saddle. It matches your fastest mount speed and is an Amphibious mount. The Primalist Ovog Ceremonial Garb and Cloak of the Great Wheel are wardrobe items that you get instant access to. You can preview the wardrobe items by going to Character -> Wardrobe and typing ‘Ovog’ in the search field in the various armor slots. Make sure ‘Show Uncollected’ is ticked. The Cloak of the Great Wheel can be found under Capes. The Primalist Portrait Frame is rather unique (and big). It takes the same theme and colors as the Primalist’s icons. The circular disc with all the glyphs in the middle spins around every now and then. You should be able to change your Portrait Frame by right-clicking your character portrait and selecting from the ‘Portrait Frame’ drop-down menu. This gives you 30 days of Patron Time. If you already have Patron, it’ll be added to the end of your current time. You can learn about all the benefits of Patron here. The following will be delivered to you once 3.4 launches. Current ETA on 3.4 is some time in the Fall. The Primalist is the new, 5th calling coming to RIFT in 3.4. It currently has 6 souls (with 4 more added in the future; not part of the pack). Based on current information, “The Wild Pack” only grants you access to the first 6 souls. Vulcanist: Ranged ST DPS. Fire + Earth abilities. Typhoon: Ranged AoE DPS. Water + Air abilities. Preserver: Healer. Uses blossoms and seeds. You can check out the Primalist reveal video and summary here. [Update] Primalist Livestream. Trion has now also held a Primalist livestream, revealing more about the new calling including a whole bunch of tooltips and all soul trees. Check out the summary and tooltip compilation here! An additional character slot will be unlocked for you on all shards on your account. This additional character slot will be unlocked when 3.4 hits. 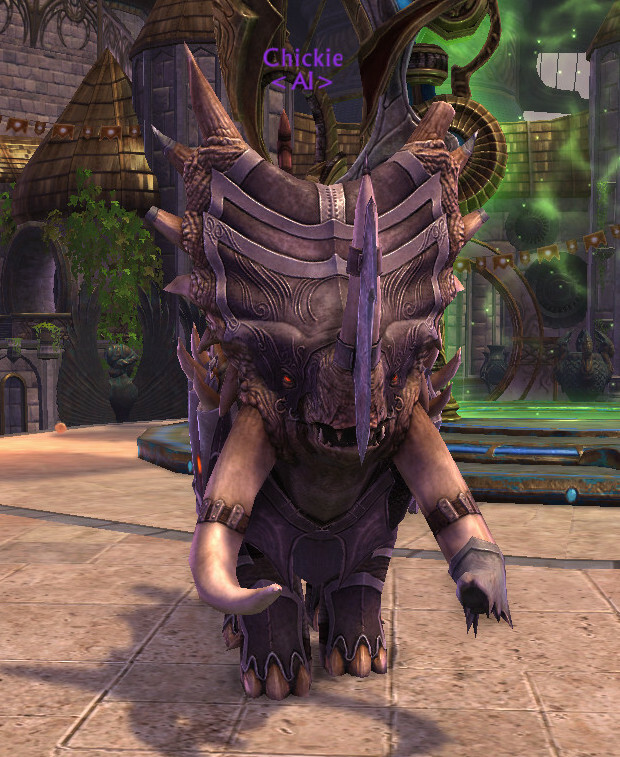 The Khar Warfront Announcer is based on King Khar’s voice, a key protagonist in the Planetouched Wilds zone. You get a Zendi companion pet and minion card when 3.4 hits. Currently on Live the minion only has 1 Life 1 Earth as attributes. Note: If you purchase The Wilds Pack, the minion card will actually be automatically added to your minions collection. It popped up prior to 3.4. (i.e. It won’t appear as an inventory item that you need to consume). You will get an Ascended Primal Trinket when 3.4 comes out which scales with your level. Stats will be based on your char’s class. Your damaging abilities heal you for 5% of the damage done once every second. Do you want to gift “The Wilds Pack” to someone? If you can’t see “The Wilds Pack” under the Packs section of RIFT Store -> Services, you’ll probably need to click on the ‘wishlist’ checkbox in the front page version of “The Wilds Pack”. That will usually make it appear in RIFT Store -> Services and you can then gift from there. Gifting The Wilds Pack Instructions. It seems “The Wilds Pack” can disappear at random from the RIFT Store -> Services section, so you might need to repeat this if you are looking to purchase or gift the pack through multiple login sessions. For those who aren’t interested in “The Wilds Pack”, the Primalist souls will be available in a pack for Credits on the RIFT Store once Patch 3.4: Into the Wilds is released. Similar to the Storm Souls and Dream Souls Packs, there will also be a Primalist Pack available in game for credit purchase/gifting once 3.4 is live. It will include the calling and initial 6 souls. 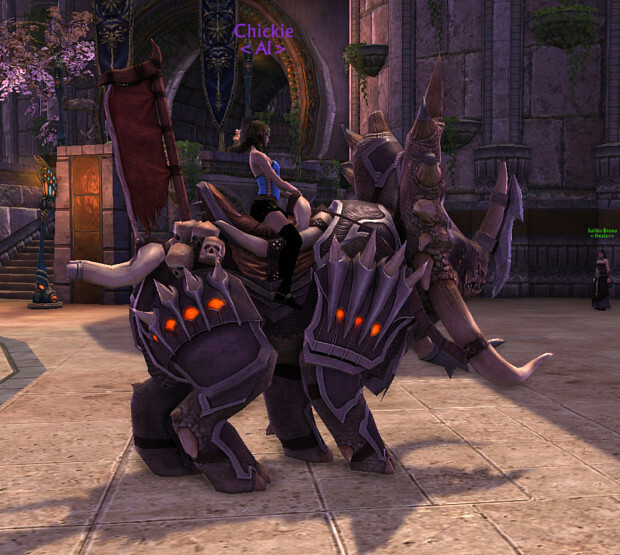 You can obtain “The Wilds Pack” from RIFT Store -> Services, RIFT Store front page, Steam or on the Glyph website. There’s also a short FAQ at the bottom of this page if you’re interested. what happened to the expansion with a year included game time?!? This if far less for way more. Storm Legion 1yr deal was definitely a better deal (imo). I’m waiting to see what the Credits version for the Primalist calling pack will cost. Price probably won’t be revealed for a while on that though. This a rip-off. You would have thought Trion learn’t their lesson from Archage but no. The only thing is that the mount is totally new not just another colored version of the same old thing. I would also agree that the price is a little stiff. I think I will also wait for the souls pack. It’s $100 for The Wilds Pack, not the calling itself. The Primalist Calling will be available on the RIFT Store for 5,250 Credits when 3.4 hits. Think of The Wilds Pack like a collector’s edition. The game is free to play and has a lot to offer. That being said they need to make up the money to keep servers going and pay the developers to create new expansions. Everyone complaining does not appreciate the hard work that goes into making these games. The primalist pack is only around $30 bucks 4700 gems which is not expensive.